Master the art of effortlessly chic styling with the gorgeous PANIZ sandal by Midas. Crafted in Spain from soft pebbled leather, this design features a traditional cork sole, along with a scalloped upper that adds to the feminine feel of the design. 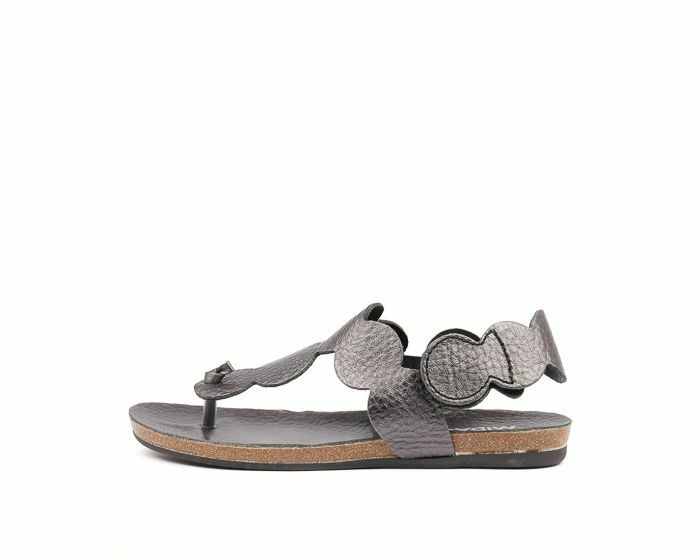 The perfect piece for relaxed days by the beach or bar, this sandal is a convenient option with a T-bar silhouette and adjustable ankle strap with rip-tape closure.